It is pretty hard these days to scroll for more than 30 seconds without being bombarded with the most colorful superfood smoothie bowl, most effective diets and latest in wellness research. What’s with the health obsession that seems to be taking over our instagram feeds and billboards around the country? What’s worse, you can’t even escape the wellness pressure at work?! Come on! Alas, we are moving in the direction of integration and that is pretty cool news. Many of the most desirable places to work have lead the charge in adopting wellness as a big part of their company culture. Clif Bar CEO, Kevin Cleary set the bar years back by paying employees for 2.5 hours of weekly workout time and shutting down emails after 7pm. Now, as 2018 is upon us, the heavy hitters (Google, LinkedIn, Apple) almost all have onsite gyms, kombucha on tap and even in house massage therapists. Wellness is the wave of the future and if the expectation for the average working American is to continue at breakneck speed, thank goodness this is the case. As with any trend, as it picks up speed it has the potential to become extremely off-putting and even annoying. The good thing about living WELL is that there are a lot of ways to do it. If Paleo diet and dumbbells aren’t for you, there is always a dance party, a meditation class or simply a long walk in nature. When companies build their identities to include wellness, they will attract like-minded folks that keep each other balanced by encouraging a balance of quality sleep, healthy food, deep breaths and movement. As individuals, most of us still need permission to take care of ourselves guilt-free. What better permission than that of your employer? Still not sold? Here’s a chance to read up on more reasons to jump on the wellness wagon. 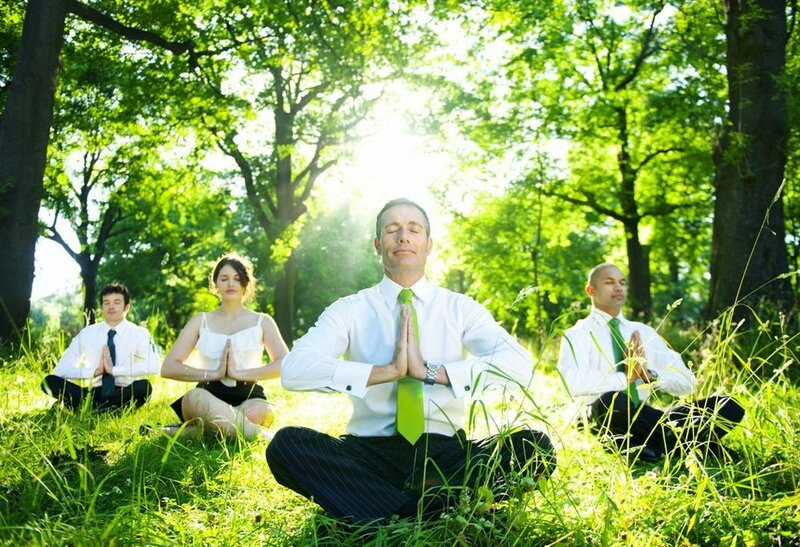 Do Wellness Programs Make Employees More Productive?